The Iranian economy is gradually recovering to the level before the sanctions against Tehran related to its controversial nuclear program were imposed, local media reported Monday. 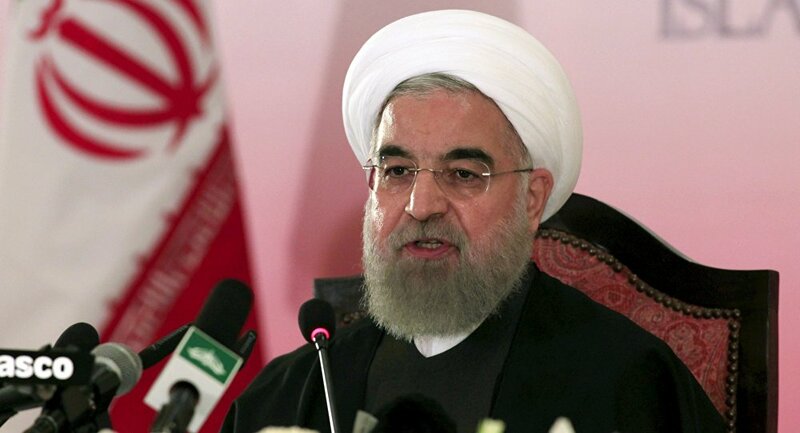 MOSCOW (Sputnik) — Iranian President Hassan Rouhani emphasized that foreign investors were showing interest in the investments after the economic restrictions were lifted. "Today, we are moving step by step toward the pre-sanctions situation," The President said in the northwestern province of West Azerbaijan as quoted by Tasnim News Agency. "We are in such conditions today that you see [delegations from] companies and various countries are continuously visiting Iran," he said. In January, the European Union, the United Nations, and partially the United States lifted their sanctions against the Islamic republic after the International Atomic Energy Agency verified Tehran’s compliance with a nuclear agreement reached last July. The deal reached by Tehran and six international mediators — Russia, China, the United States, the United Kingdom, France and Germany — guarantees the peaceful nature of Iran's nuclear program in exchange for the gradual termination of anti-Iran sanctions, which were imposed over fears that Iran was developing nuclear weapon. The lifting of sanctions allowed Iranian oil producers to reenter the global market. However, the United States has imposed sanctions against Iran related to Tehran's ballistic missile program.